In this Jan. 18, 2017 file photo, the marquee at the Egyptian Theatre appears on the eve of the 2017 Sundance Film Festival in Park City, Utah. The 2018 Sundance Film Festival will run from Jan. 18 through Jan. 28. Documentaries about Robin Williams, Gloria Allred and Ruth Bader Ginsberg, a Lizzie Borden film with Kristen Stewart and Debra Granik's long-awaited follow up to "Winter's Bone" are among the 110 features set to premiere at the 2018 Sundance Film Festival. The Sundance Institute announced the diverse lineup of films Wednesday for the annual festival held in Park City, Utah. Festival programmers say the films this year highlight the stories of alternative voices and points of view, including films by and about women, and the experience of African-American men in the world right now. The African-American experience is highlighted in competition films like "Blindspotting," a buddy comedy starring Daveed Diggs, and "Sorry to Bother You," a dystopian tale about a telemarketer with Lakeith Stanfield and Tessa Thompson. Both are from Oakland-based filmmakers. "I think they're going to make really big splashes," said Trevor Groth, the director of programming for Sundance. The festival premiered Jordan Peele's "Get Out" in a special screening last year. Films with complex female characters include "Lizzie," a psychological thriller about Lizzie Borden starring Kristen Stewart and Chloe Sevigny as Borden, "The Miseducation of Cameron Post," about a girl who is forced to go to therapy for her sexuality, starring Chloe Grace Moretz, and "The Tale," about a woman reevaluating her first relationship starring Laura Dern. "Star Wars" star Daisy Ridley also stars in "Ophelia," a female-focused spin on Hamlet. Granik, whose last feature "Winter's Bone" earned Jennifer Lawrence her first Oscar nomination and ostensibly catapulted her to stardom, is back with her first narrative feature in over seven years — an untitled film about a father and daughter living in a secluded nature reserve in Oregon starring Ben Foster. The domestic documentary competition includes a timely film called "Seeing Allred," which focuses on the women's rights attorney's life and taking on both Bill Cosby and Donald Trump. Others include a Hal Ashby portrait, "Hal," and a look at the deportation of 1,200 immigrant miners living at the Arizona-Mexico border in 1917 ("Bisbee '17"). Documentary premieres, a section that has in the past unveiled "An Independent Sequel" and "Going Clear," has a film about the life of Robin Williams told mostly through his own voice, "Robin Williams: Come Inside My Mind," a look at Supreme Court Justice Ruth Bader Ginsberg, "RBG," and a Fred Rogers documentary "Won't You Be My Neighbor." Actor Idris Elba also makes his feature directorial debut with "Yardie," a thriller about a boy who sees his brother's assassination in 1973 Jamaica. Ethan Hawke "BLAZE", Paul Dano ("Wildlife") and Rupert Everett ("The Happy Prince") are among other actors who directed films that will premiere at the festival. "The work of independent storytellers can challenge and possibly change culture, illuminating our world's imperfections and possibilities," said Sundance founder Robert Redford in a statement. "This year's festival is full of artfully-told stories that provoke thought, drive empathy and allow the audience to connect, in deeply personal ways, to the universal human experience." 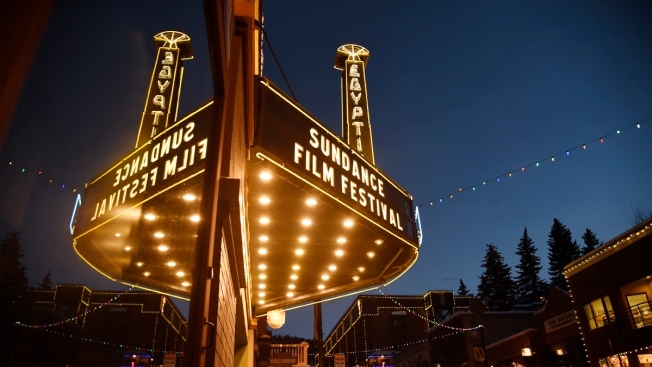 The Sundance Film Festival runs from Jan. 18-28. Additional selections will be announced in the coming weeks.